The US Department of Health and Human Services (HHS) under the Trump Administration has taken an unusual and alarming step, waiving anti-discrimination requirements for federally-funded child welfare agencies in South Carolina. 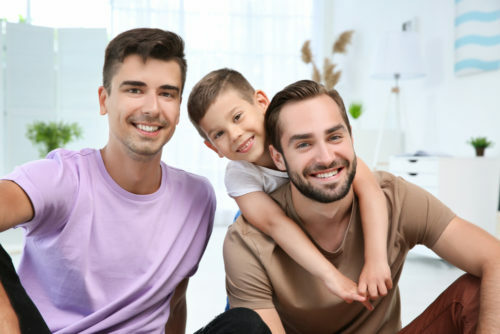 The move opens the door for discrimination of non-Christian and LGBTQ people who may be seeking to foster or adopt, and sets a precedent for future waivers in other states and for other reasons. The move comes after South Carolina’s Republican governor, Henry McMaster invoked the Religious Freedom Restoration Act (RFRA) to seek a government waiver on behalf of a faith-based adoption and foster care agency. That organization, known as Miracle Hill Ministries, refuses to place children in households that do not fit their religious standards. Miracle Hill Ministries recruits nearly 15% of South Carolina’s foster families. Cathryn Oakley, the State Legislative Director & Senior Counsel for HRC, spoke out about the waiver, saying, “Every decision that is made by a provider of child welfare services must be grounded in doing what is the best interest of the child, period. Providing care for these kids is critically important, and too many kids languish in the foster care system because there aren’t enough foster and adoptive parents for each child. “The federal government has a compelling interest in ensuring federal contractors are providing quality care, and in ensuring that taxpayers aren’t footing the bill for taxpayer-funded discrimination. This waiver is unconscionable, in no small part because it prioritizes federal contractors over kids in need of families,” Oakley added. Federally-funded programs are subject to federal law, including anti-discrimination laws, but several states allow state-licensed religious organizations to discriminate against LGBTQ people and others, so as to not conflict with their religious beliefs. This move is in line with several others made by the Trump administration, including the formation of the Division of Conscience and Religious Freedom within the HHS a year ago. That division was designed to allow healthcare providers to discrimination against patients in need based on their religious beliefs. This also squares up with moves in the Department of Justice last year, while it was still under the previous Attorney General, Jeff Sessions. Sessions spearheaded the creation of a religious freedom task force, pushing for federal agencies to use the broadest possible interpretation of “religious liberty” when enforcing the law.